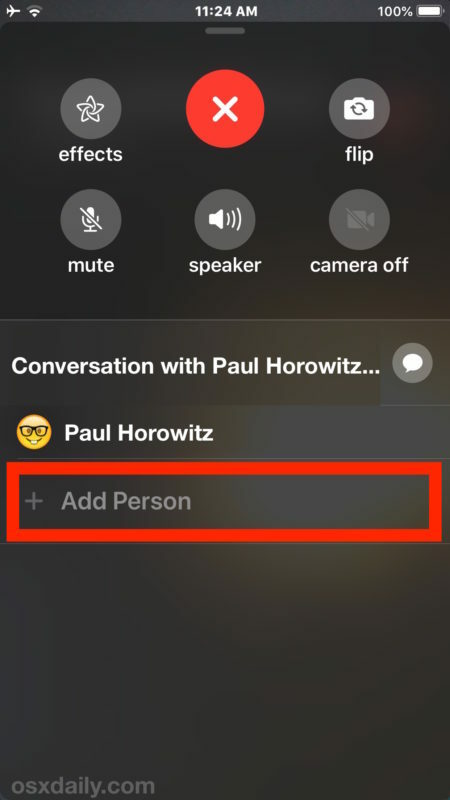 * Recall that all participants of the Group FaceTime video chat must be using a compatible device and have iOS 12.1 or later on their iPhone or iPad, or macOS Mojave 10.14.1 or later if they plan on using Group FaceTime on their Mac. 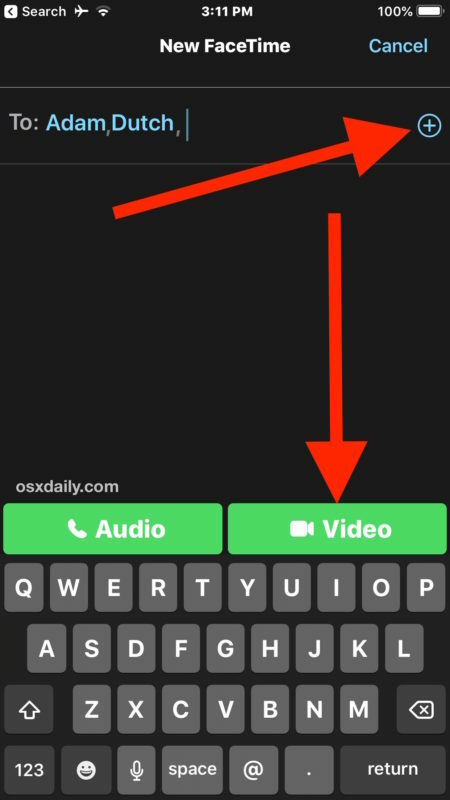 If their device is not compatible with group video chat, but compatible with iOS 12.1 or later generally, then they’ll instead join as an audio stream. 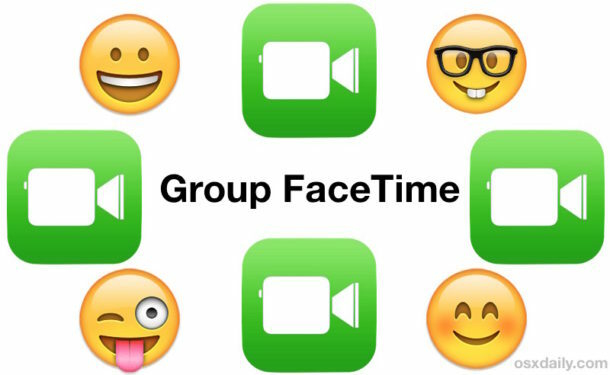 You can have 2 people in FaceTime, 3 people, 4 people, up to 32 people. 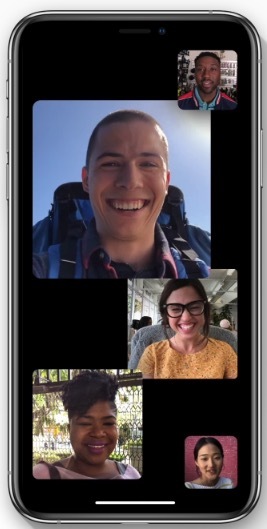 They all must be running the latest iOS or macOS versions to be able to have that group video chat. 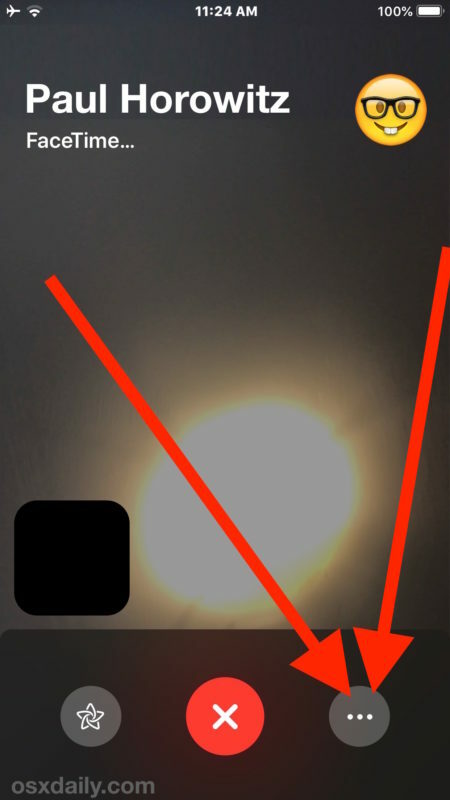 But another option is Skype for video, which has group video chat without such strict limitations. It’s still a wee bit rough around the edges. 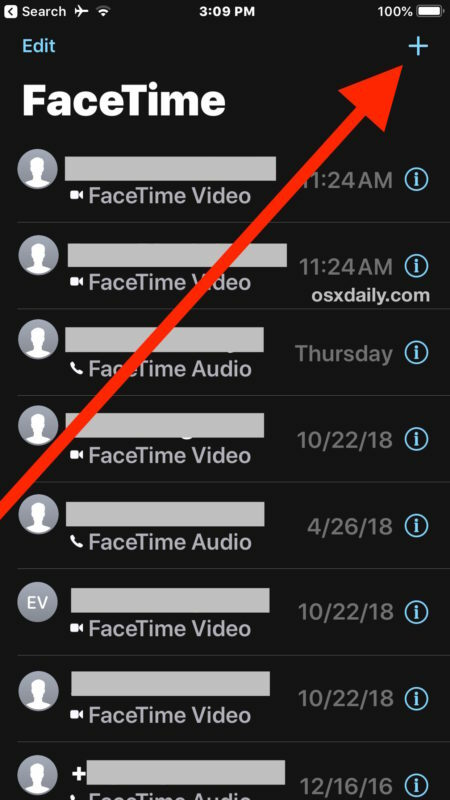 When I tried this with my iPad Pro with my wife and mother (both sporting modern iPhones and updated to iOS 12.1) whenever I added the third person to the existing call with the 2 on it, my iPhone XS would ring and also be added to the call. The reverse was true for me as well, starting the call on the iPhone would add the desired person plus the extra person (me again) to the call and ring the iPad. Comical but shows a bit of work still needed to handle the complexity of a > 2 person chat? How do I leave a FaceTime group that I didn’t set up – I am being inundated with calls and no-one seems to know why!